MEDICALGRAPHICS.DEResearchers have edited the human genome before, but always in cells outside the body. 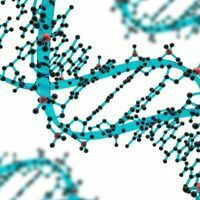 Now, biotech company Sangamo Therapeutics is recruiting participants for clinical trials in which patients with hemophilia B, Hurler syndrome, or Hunter syndrome will have the gene coding for one of the enzymes that is non-functional in them stitched into their genomes at double-stranded DNA breaks caused by zinc finger nucleases. “This is the first time someone could have a new gene put into their liver,” Sangamo President and CEO Sandy Macrae told The Scientist. “It’s a privilege and a responsibility to do” these trials. One of the diseases Sangamo will focus on is hemophilia B, which is a severe bleeding disorder caused by a defective or absent gene called F9. The gene’s protein product, coagulation factor IX, is an enzyme essential for blood clotting. Two other clinical trials will focus on Hurler and Hunter syndromes. People with these disorders lack a functional copy of two different genes that code for enzymes necessary for breaking down complex polysaccharides involved in development, angiogenesis, and more. Without these enzymes, specific types of polysaccharides called glycosaminoglycans build up in cells, which can cause neurologic issues and cardiovascular disease, among other complications. In all three trials, the zinc finger nucleases cut a target spot in the gene for albumin in hepatocytes, and the functional copy of the relevant gene is incorporated by homologous recombination. The initial phase of one trial involves three pairs of men with severe hemophilia B, who will each receive a low, medium, or high intravenous dose of a drug called SB-FIX, composed of three adeno-associated viruses: two contain the genes for the zinc finger nucleases and the third has the functional F9 gene. Macrae said the investigators expect that F9 DNA will be incorporated into the target site in the albumin gene in a minority of hepatocytes, but because albumin is so highly expressed in the liver, the patients’ levels of factor IX enzymes could still increase. Once the Sangamo team assesses the drug’s safety and determines its optimal dose, three more men with hemophilia B will enter the trial as part of that dosage group. 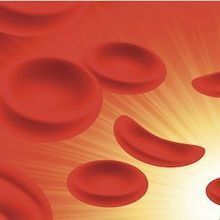 Hemophilia B “is a logical first disease to target because the disease physiology is pretty straightforward,” said Andrew Davidoff, a pediatric surgeon at St. Jude Children’s Research Hospital in Memphis, Tennessee. “If you just replace the missing or defective clotting factor you will essentially cure the patients,” he explained. Davidoff is not involved in Sangamo’s upcoming trial, but he has led clinical trials for men with hemophilia B, in which adeno-associated viruses deliver a functional copy of F9 to the liver. The gene cassette in Davidoff’s trials is not incorporated into the patients’ genomes, instead existing in liver cells as extra-genomic DNA called episomes. “By not integrating, if the target cell divides you may lose that material,” Davidoff explained. 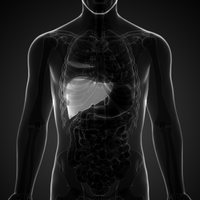 Macrae said that one advantage of Sangamo’s strategy in the current trials is that it is “a lifelong solution.” Once the zinc finger nucleases facilitate integration of the functional copy of the gene into the genomes of participants’ liver cells, F9 should be stably expressed. Paula Cannon, a gene therapy researcher at the University of Southern California’s Keck School of Medicine in Los Angeles, described the albumin gene as a “safe harbor site”—a genomic location that has been determined experimentally to be a good place for genes to be inserted and expressed long-term. Cannon is not involved in the current trials, but she worked with Sangamo previously to use zinc finger nucleases to edit a gene in human cells to make the cells’ progeny resistant to HIV infection. Both zinc finger nucleases and the CRISPR/Cas9 system are capable of cutting DNA in a site-specific manner, Cannon told The Scientist, but she added that there are advantages for zinc finger nucleases in developing clinical therapies. For instance, CRISPR/cas9 has some limitations, namely, that the guide RNA that binds to the target sequence must attach to an anchor sequence, typically two Gs. Thus, CRISPR/Cas9 “doesn’t give you quite the degree of specificity,” she said. Another advantage of zinc finger nucleases that Cannon highlighted is their history and approval as investigational new drugs by the US Food and Drug Administration. 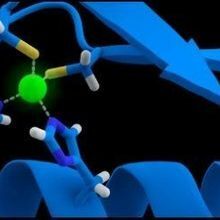 Zinc finger nucleases have been successfully used to knock out a gene that is involved with HIV entry in human T-cells’ genomes, and when injected in humans, those cells did not elicit an immune response. 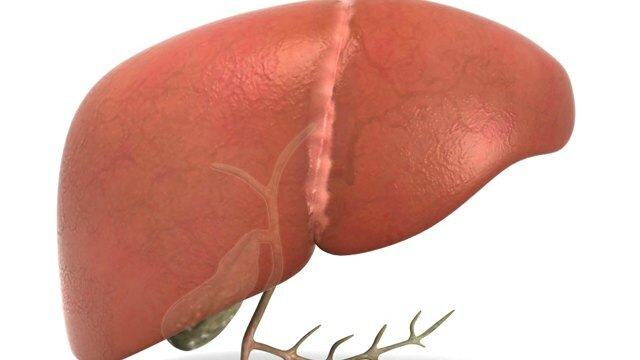 For Sangamo’s current trials, getting any of the drugs to the liver is fairly straightforward, as the adeno-associated virus readily enters hepatocytes from the blood. Macrae explained that other groups have successfully targeted the eye, and that Sangamo may soon refine delivery to the brain. But he agreed that transporting drugs into the right tissues is a looming question. “I’m convinced the secret to the future use and application of editing is about delivery,” he said. Correction (May 18): In the fifth paragraph we replaced the word "nick" with "cut" because the zinc finger nucleases make a double-stranded break, not a single-stranded nick. The Scientist regrets any confusion.